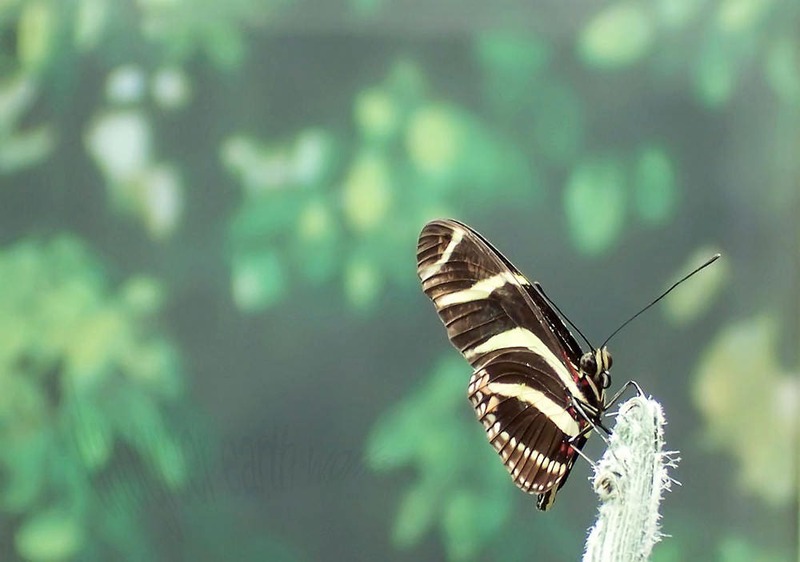 A butterfly perches on a delicate plant nearly 100 feet (30m) above the human-generated rainforest floor. Does the butterfly know the difference? Image is 1584 x 1112 pixels.